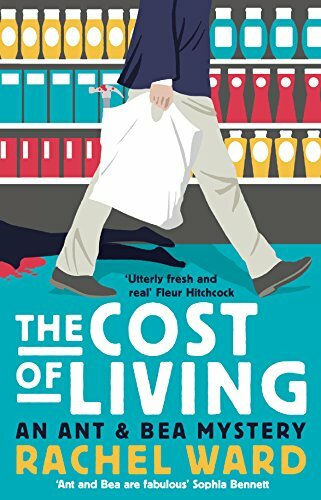 The Cost of Living is a gentle mystery featuring unlikely heroes, Ant and Bea, who both work in a supermarket in the small town of Kingsleigh. There is a fear round the town that there is a stalker targeting young women and when someone is attacked, everyone’s fears seem to have come true. Bea is a check-out operator at Costsave, a bright young woman who I certainly felt had lots of potential to go far whether in her current occupation or elsewhere. Ant, on the face of things, seems less likely to be successful having always been in trouble at school and struggling to cope with what appear to be straightforward tasks in the supermarket. He’s a bit mouthy but trying hard to cover up a secret he’d rather not reveal. Bea knew Ant at school and didn’t think much of him then. She’s a bit sceptical that he’ll stick his job at the supermarket. What links them both though is a sense of integrity and a desire to do right by the girl who had been attacked, a colleague well known to them. Although not really setting out to play detective, they come across clues and come up with ideas of who might be responsible for the crime. The word bumbling certainly seemed to apply to them at some points but their dogged determination pays off in their quest to find the culprit. I really enjoyed reading this book. Ant & Bea are very likeable characters, very down to earth and there was a lot which made me smile throughout the book. The darker theme of the crime is woven through the story effectively and is well balanced by lighter moments. It was good to get a bit of insight into Bea’s home-life as well and the difficulties she had with Queenie, her mother. The exploration of how grief affected them both was sensitively done. I also liked Bea’s genuine concern for and interest in her regular customers’ lives. This is the first book to feature Ant & Bea and I am pleased that there is a second book already available (Dead Stock) – I will definitely be seeking it out. Although seeming to be an unlikely pair, Ant & Bea complement each well, with their underlying kindness, thoughtfulness and basic decency making them a great team. 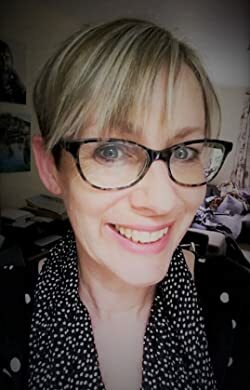 Rachel Ward is a best-selling writer for young adults. Her first book, Numbers, was published in 2009 and shortlisted for the Waterstones Children’s Book Prize. An avid reader of detective fiction, The Cost of Living is her first book for adults. Rachel lives in Bath with her husband and daughter.